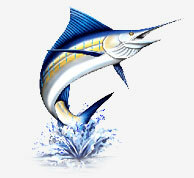 We gad great tuna action on the kite today with lots of aerial assaults on our rubber flying fish! Thanks guys! We had great fishing today with a box full of tuna and dolphin sorry our picture didn't turn out. Thanks mike and crew! It was a beautiful day in the ocean with calm seas and light winds! Our crew landed six yellowfin a few dolphin and double header sailfish! Good times on the dream girl ! We had great top water action today! Great action for the fleet today! Plenty of tuna and mahi! We scraped it out today with a handful of dolphin three tuna and a sailfish! Our crew landed a few mahi yoday along with a couple tuna a sailfish and a whitemarlin! Great job guys !